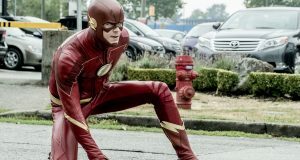 In the initial overnight ratings, The Flash had 3.84 million viewers and a 1.5 in the Ages 18-49 demo – the demographic number actually beating Marvel’s Agents of S.H.I.E.L.D.! The numbers could change as the day goes on, hopefully for the better, and surely things will go up even more once DVR is factored in. 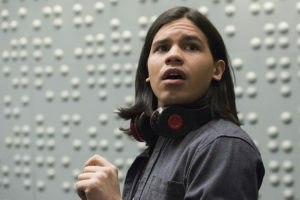 As THE FLASH races to its season finale, last night it had its most watched (3.84M) and highest rated episode since 2/17 in A18-34 (1.3/6), A18-49 (1.5/5) and M18-34 (1.7/8), and highest rating in M18-49 (1.9/7) since 2/10. THE FLASH was tied for #1 in the time period in A18-34 and was #1 in time period among M18-34 and M18-49. Week to week, THE FLASH WAS UP +18% A18-34, +15% in A18-49, and +2% in total viewers. THE FLASH matched its second best rating ever among M18-34. IZOMBIE also saw gains week to week in A18-34 (+20% 0.6/2), and in A18-49 (0.7/2, +17%). For the night, The CW was #1 (tie) in A18-34 (1.0/4), and #1 in M18-34 (1.1/5), and #2 (tie) in M18-49 (1.2/4). 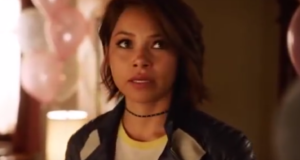 It was The CW’s best Tuesday since 2/17/15 in A18-34 and M18-34, and best since 3/17/15 in total viewers (2.803 mil). The CW was up +25% week to week in A18-34 (1.0/4) and +10% in A18-49 (1.1/4). If you’ve seen “The Trap” and want to talk about it with other fans, come by our forum! Only three episodes are left in The Flash Season 1, and they all look amazing… be sure to browse FlashTVNews for spoilers and clues! 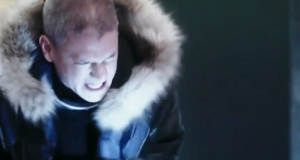 The Flash “Fury Rogue” Trailer: Feeling Cold? I really liked this episode. The story went more further and there were some great twists and turns. Can’t wait to see the big battle and the reveal for what Eonard Thawne’s ultimate plan is. So I’m curious how Flash beat Agents of Shield when it had 3.8 million views compared to Agents of Shield that had well over 4 million viewers. The math just doesn’t add up to me. In the initial overnights, The Flash had a 1.5 in the Ages 18-49 demo; SHIELD had only 1.4. Ergo, in the key demographic – the one most important to advertisers – Flash beat SHIELD.